If you’re not familiar with OC Tactical’s incredibly-detailed custom gear manufacturing, we hope to change that with this review. We’ll be highlighting a few of the great custom items that OC Tactical currently produces and what’s setting them apart in this industry. I’ve been personally working with Mike from OC Tactical to produce some custom items, as well as working with him through ITS Tactical to develop a pouch for our ETA Kit. When you think custom gear, what comes to mind? To me it’s that lightbulb that goes off in your head when using your equipment, or tweaking it, when you say “this would be easier if I had…” That’s where OC Tactical comes in. They take your gear idea from concept to reality, with that personal touch that not many in this industry have the time to afford. Let’s face it, custom work for a single item doesn’t equate to much profit when you factor in prototyping and labor. In fact, there are only a handful of people I know that have the time and resources to produce great custom gear like OC Tactical does. Mike is definitely in a small group of companies that are doing this kind of work the right way; with tremendous attention to detail, quality craftsmanship, great customer service and the 1-on-1 dialog needed to bring your idea to life. A caveat to this, that shouldn’t dissuade anyone from journeying into the world of custom gear, is time. 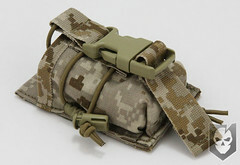 To develop your idea or modification in the way that OC Tactical does, it’s going to take time. This definitely is not somewhere where you can expect a fast production turnaround. The prototyping process and labor I mentioned above aren’t something that can be rushed and still retain all of the inherent service qualities OC Tactical provides. OC Tactical is also the only place I know of to get custom gear manufactured in such a wide array of colorways and patterns like A-TACS, AOR1 and AOR2. OC Tactical isn’t 100% custom work and have many products they currently offer on their Website. The stock is dependent on their workload and most items listed currently require contact to inquire about the build time. This is pretty self-explanatory, but let’s truly examine the term and how it applies to gear. Whether you’re out at the range shooting, patrolling your beat, or sneaking up on smelly bad guys; there’s never a good time for gear to fail. The fact of the matter isn’t necessarily “if,” but “when.” Let’s face it, as bombproof as a lot of gear is; buckles can break, elastic can get stretched out, and things happen. When they do, it’s always good to have a small gear repair kit to address these issues. This can include a few repair buckles, shock cord, malice clips, duct tape, etc. There are, however, only a certain number of things on a piece of gear that can be replaced by the end-user without access to a sewing machine. 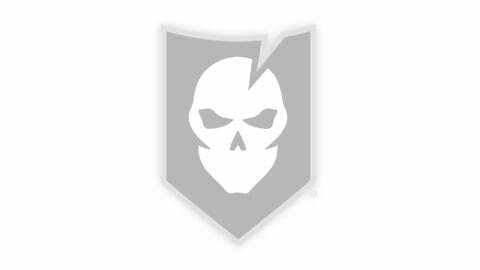 What OC Tactical has done, is designed their gear with the end-user in mind and made as many things “user serviceable” as possible. To highlight exactly what this means, let’s take a look at one of the items we’re reviewing today. 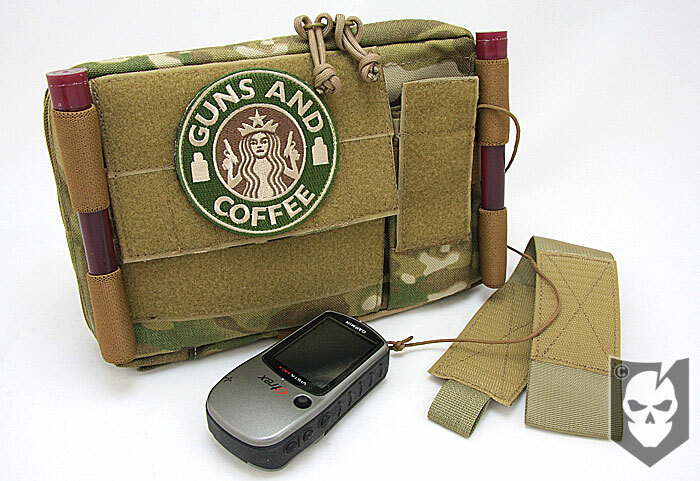 One of the products OC Tactical has recently started listing as a product, began life as a custom request of mine for a pouch that could hold the small Vertex 410 series radios that we use here at ITS. Not everyone who uses radios on a daily basis runs MBITRs, which is what you’ll commonly find a pouch for when searching a manufacturers product listing. 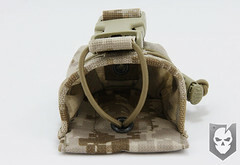 The reason is obvious though; MBITR pouches are what sells, due to most Military guys running them for comms. In our case, we needed a bombproof radio pouch that could be mounted to MOLLE and fit our Vertex radios. We typically run these with Sordins so we can maintain comms when on the range or as other situations dictate and having enough width in the pocket to still attach the comms lead was also important. What OC Tactical came up with was a 1000d coated Cordura Small Radio Pouch that integrated user serviceability into each facet of the design. 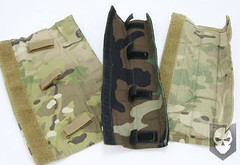 At the rear of the pouch is a doubled over 4 3/4″ wide x 3″ tall piece of Cordura that ingeniously provides the ability for a small channel to be sewn in for shock cord. 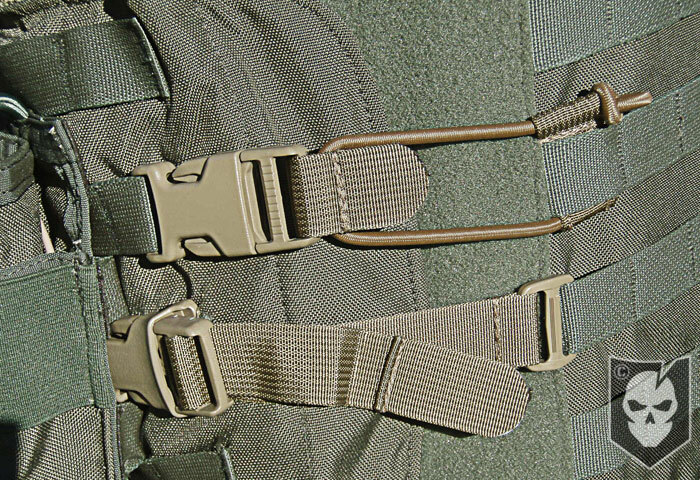 This shock cord is looped through the 1″ webbing used in the buckle/adjustment portion of the pouch, run down through a grommet in the rear channel and out through the bottom. At the bottom of the pouch, the shock cord is routed through a Cordloc and secured with an overhand knot. This provides an easy adjustment, as well as using shock cord for retention where possible. 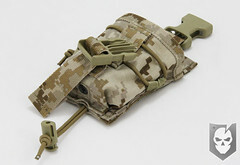 On the front of the pouch, shock cord is also used for the pouch body retention. 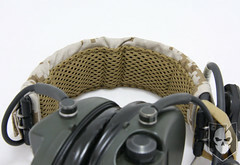 A length of shock cord is run through a sewn piece of 1″ webbing on the front of the pouch and through what appears to be loops of 1″ lightweight binding tape and through a Cordloc secured with an overhand knot. The shock cord retention is also separated through the webbing as it crosses the body of the pouch so as to evenly distribute the retention and not allow it to bunch up. 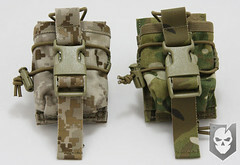 This retention system, both on the top of the pouch and on the body, fall in line with the user serviceability aspect of OC Tactical I was mentioning. Rather than go with traditional sewn-in elastic that becomes stretched out, user replaceable shock cord is integrated so it can just be replaced when it gets stretched out. With elastic retention of any kind, whether sewn-in or shock cord, it’s not a matter of “if” it becomes stretched out, but when. 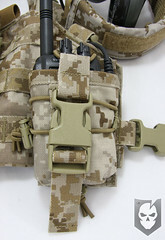 The SRB (Slide Release Buckle) assembly of the Small Radio Pouch is also designed in a way that it can be replaced with a repair buckle without having to break any stitches. Again the common failure points such as retention and the buckle have all been carefully assembled in a way to promote user serviceability. Further features on the pouch include a drainage grommet in the bottom and a bound lip at the mouth of the pouch. 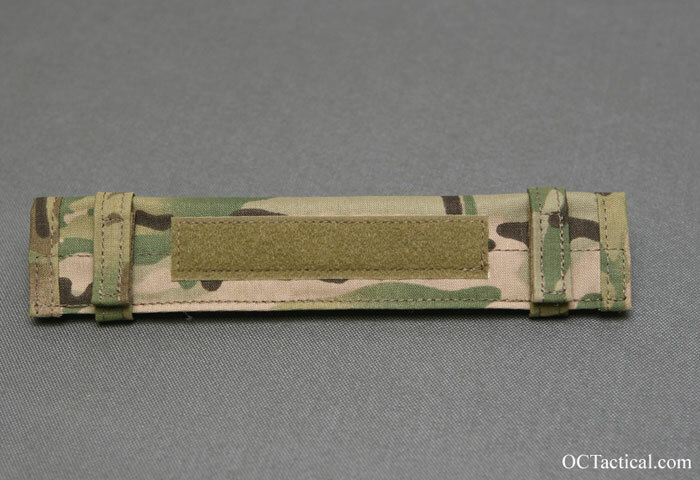 It measures 3/4″ wide x 3″ tall x 1 3/4 deep, attaches with two small Malice clips and is available in any colorway and pattern that OC Tactical offers. They have truly outdone themselves on this small radio pouch concept and I couldn’t have asked for a better design. As with everything I’ve seen of theirs, the stitching is superb and made with incredible attention to detail. I’ve been wearing Sordin electronic earpro for a number of years now and had always wished someone would come out a more comfortable head strap with different colorways options. The woodland camo cover that comes standard with Sordins has a pretty weak padding insert and has severely needed an upgrade for a long time. While browsing the Lightfighter forum I saw that Troy, a Lightfighter member, had arranged for OC Tactical to start producing Hearing Protection Covers for him to sell to other members. This was actually my first time hearing about OC Tactical and well before we started ITS Tactical. I took one look at the quality in the photos and immediately knew it was the upgrade I’d been looking for. As you’ll see in the photos below, I tried working with another custom gear manufacturer to produce a hearing protection cover about a year before I saw the OC Tactical design, but it wasn’t very good quality or integrate the padding upgrade I was after. The OC Tactical Hearing Protection Covers are made to fit the Peltor ComTac II, Sordin Supreme Pro-X or the Sordin Supreme Pro. They’re made in 33od coated Cordura and feature a 5″ velcro strip on the top for nametapes and a double layer of Dri-Lex foam padding on the underside for moisture wicking. The wider band Supreme Pro’s can be accommodated with a slightly wider cover or you can simply cut away that naugahyde coating and use the standard Sordin cover. 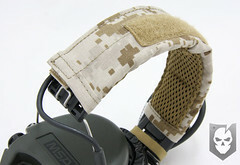 OC Tactical has now started offering the optional addition of small exterior velcro-straps to aid in wire management. As you can see in the photos, this would be a nice upgrade to the rigger’s rubber band I currently use to manage my comms wire when not running the Vertex radio. If I had to be picky with the Sordin covers I have, I’d say that the inclusion of the small velcro tabs in the original cover interior would be a welcome addition on the OC Tactical version. It would help manage the cable that spans the headset a bit better and while not a necessity, it would make an already fantastic cover that much better. 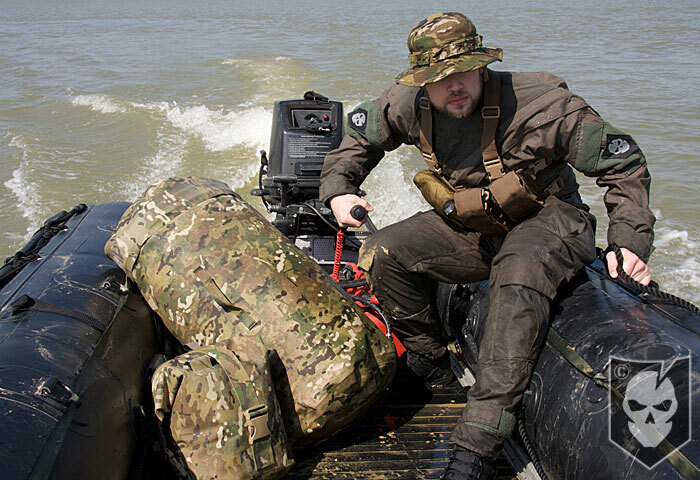 The Hearing Protection Covers are available in pretty much any colorway and pattern that OC Tactical offers, but anything other than AOR1, AOR2, MultiCam and ACU are built with heavier Cordura material. All orders must be placed directly with Troy on Lightfighter (he goes by capntroy). You won’t be disappointed with this upgraded cover; it’s done wonders for the comfort of my Sordins, especially when in them all day or using them with a helmet. I hope this article has convinced you to give OC Tactical a look when planning your next custom gear idea/modification and highlighted just a few of the great products that they’ve produced. If you send an email inquiry be sure to mention that ITS sent you! Look for more gear reviews from OC Tactical in the future, we’ve definitely got more OC Tactical goodness to cover!